Paris (AP) — More than one year after it was first tested, and after consideration of a recent alternative, the “halo” cockpit protection system will be used on Formula One cars from next year onward. Motorsport’s governing body, which began testing the system prior to the 2016 season, finally approved it on Wednesday following a meeting of its strategy group which all F1 teams attended. The FIA has been looking at ways to improve cockpit protection and limit the risk of head injuries, after French F1 driver Jules Bianchi died in July 2015 and British IndyCar driver Justin Wilson died a month later. The halo design forms a semi-circular barrier around the driver’s head, protecting against flying debris without completely closing the cockpit. When first tested ahead of 2016, drivers were divided as to whether they liked it with some — like three-time F1 champion Lewis Hamilton — criticizing it on aesthetic grounds. Other safety devices were therefore considered. 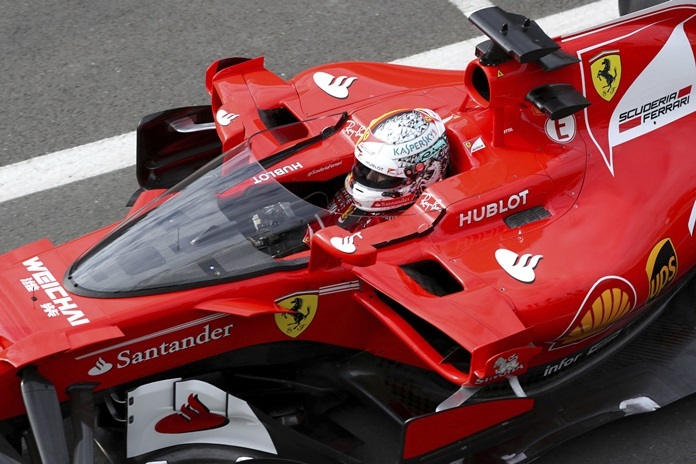 As recently as last week, a transparent open canopy system constructed using polycarbonate, known as the “shield,” was tested by four-time F1 champion Sebastian Vettel during last the British Grand Prix in Silverstone. But Vettel, who has previously spoken in favor of the halo, was critical and said it made him feel dizzy and that visibility was another issue. The FIA felt that reverting back to the halo was the best option, especially considering that the sport needs more time to make some modifications to it. Bianchi died at the age of 25 after battling for months to recover from massive head injuries sustained at the Japanese Grand Prix in October 2014. Wilson died on Aug. 23, a day after being hit on the helmet by debris from another car at Pocono Raceway in Pennsylvania. While Hamilton had been critical of the halo’s appearance when it was first introduced, Vettel and retired F1 champion Nico Rosberg had championed it, saying it was vital for the sport to enhance protection following Bianchi’s death, and that visibility was not a significant problem when driving with it. No further financial details were given, but it is widely considered that engine costs for some teams need to be lowered, particularly considering the disparity in prize money awarded to teams at the end of each year.